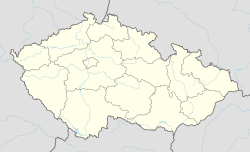 Nová Ves (German: Neudorf) is a village and municipality in Sokolov District in the Karlovy Vary Region of the Czech Republic. Wikimedia Commons has media related to Nová Ves (Sokolov District). This page was last edited on 29 July 2018, at 21:09 (UTC).